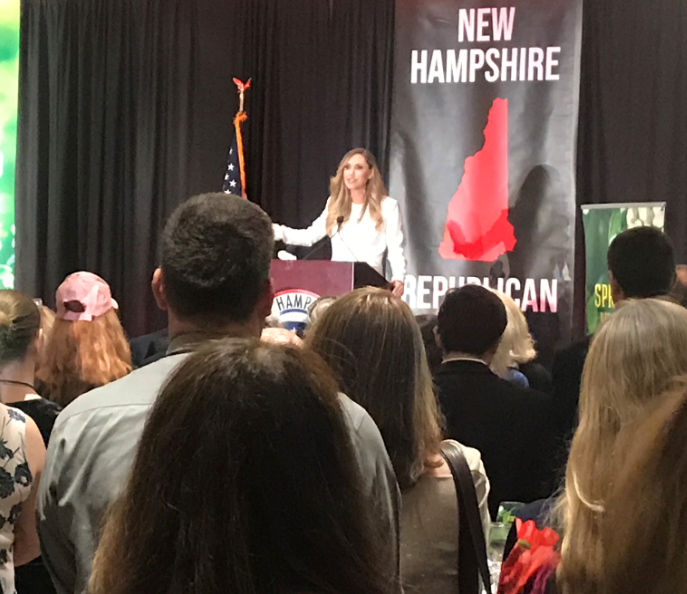 Lara Trump spoke April 2nd at a NHGOP fundraiser in Nashua. Manchester resident Parson Hicks said she came to the fundraiser mainly to show support for President Trump. She doesn't want to see him challenged in a GOP primary. "Yeah, he's the president," she said. "So if someone tries to run against him, I'm going to take that personally. I'm a 20-year Republican and I feel it would be a great show of disrespect to run against the current president." The Republican State Committee said it raised just under $70,000 from the event. Traditional issues like health care and the economy are still key talking points for Democratic presidential hopefuls criss-crossing the state this year, but candidates are also rolling out ideas you don't often hear. John Delaney is a former Congressman from Maryland who's running for the Democratic presidential nomination. He first announced his candidacy almost two years ago after Donald Trump won the 2016 election, and he's been in the Granite State several times since. Morning Edition Host Rick Ganley sat down with Delaney to chat about his candidacy and views on where the Democratic Party is headed.